Having just released his sophomore album, Gordian, Cosmin TRG is at the top of his game. With a discography heavily clad in deep bass and spaced-out Tech House, Cosmin has been touring internationally at just about every club and festival you wished you could attend. 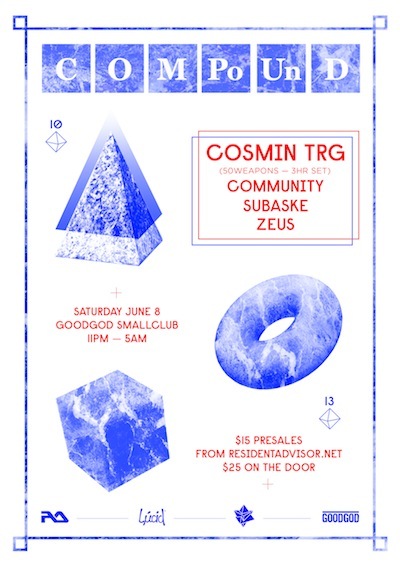 Getting your body ready for movement as the regular Compound family of Community, Subaske, and Zeus will set the groove for the rest of the night. Get hydrated, dress to sweat, and do what feels natural.